1) Presently he is dating his co-star Ankita Lokhande. 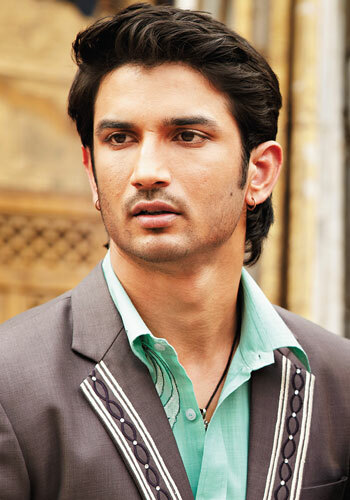 2) Sushant Singh Rajput also plays a very big role in the field of social work. He has supported various child literacy projects and has aided several movements to provide poor children with food. Sushant won the Zee Rishtey Award for being the best Jodi on-screen with Ankita Lokhande, his co-star. He also won the 3rd Boroplus Gold Award, International Drama Award, and Xplore Software Award for the Best Actor (Male) category. 2) Similarly in the year 2010, Sushant received the 10th Indian Television Academy Awards and the Big Star Entertainment Awards in the Best Actor (Male) category. This was followed by two Zee Rishtey Awards: one for the Favourite Jodi category along with Ankita Lokhande and another for the ‘Favourite Popular Face (Male)’ category. 3) Next year in 2011, he received the following awards for his acting skills: The Global Indian Film and Television Honours, Kalakar Awards, Lions Gold Awards, 4th Boroplus Gold Awards and the FICCI Frames Excellence Award. Same year, he was also awarded the BIG Television Award for the ‘Favourite Meetha Character (Male) category’. Biography: Sushant Singh Rajput also known to the soap community as Preet from ‘Kis Desh Mein Hai Mera Dil’ is an Indian Television actor who was born on the 21st of January, 1986. His entry into the glamour world began after he defied his parents and went on to pursue his dreams of making it big. He was greatly impressed when he came across a dance troupe which was choreographed by the Shiamak Davar, the well-known choreographer. This made him turn to dancing and later on he enrolled himself in that dance troupe and then went on to perform in the Filmfare Awards as well as in the 2006 Commonwealth Games. Next up, he turned to theatre and he joined the theatre classes which were undertaken by Barry John. When he moved to the City of Dreams, Mumbai, he performed with the dance troupe trained by Ashley Lobo. He even learnt martial arts under the able and skilful guidance of Allan Amin. During the time ‘Raaz 2’ was being shot, Sushant played an important role in assisting Mohit Suri. Throughout this entire span of time, Sushant continued his active participation in theatre and during this time he was an active member of the theatre group named ‘Ekjute’ under Nadira Babbar. Soon after he staged a play for some non-governmental organisation (NGO), Sushant was gifted with the role of Preet in the romance and drama filled ‘Kis Desh Mein Hai Mera Dil’. The popularity of this television soap allowed him to take his popularity a step further by his appearance as Manav in ‘Pavitra Rishta’. Later on he participatedin two of the biggest dance shows in India: ‘Jhalak Dikhhla Jaa 4’ and ‘Zara Nachke Dikha 2’, through which he earned lots of recognition all around. In ‘Jhalak Dikhhla Jaa 4’, Sushant danced under the able guidance of the choreographer, Shampa Sonthalia and through his performances in the show, he portrayed numerous dance forms. This led him to win the Most Consistent Performer Award. Presently he has signed for a movie titled ‘Kai Po Che’ directed by Abhishek Kapoor. This film is an adaptation of the famous novel, ‘The 3 Mistakes of my Life’ written by Chetan Bhagat. In 2013, Sushant has a stock load of films in which he will be appearing: ‘Peekay’ and Maneesh Sharma’s Next. Sushant Singh Rajput at the DVD launch of Kai Po Che! Detective Byomkesh Bakshy Official Trailer | Feat.